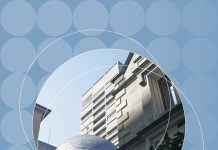 This paper is the third in a series that examines sentencing patterns for the most frequent offences dealt with in each criminal jurisdiction. 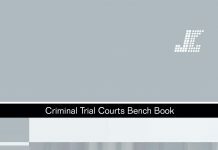 The previous papers in this series  Common Offences in the Local Courts (Sentencing Trends Number 5, March 1994) and Common Offences in the Higher Courts (Sentencing Trends Number 6, July 1994)  covered the “top twenty” offences dealt with in the Local Courts and the Higher Courts. 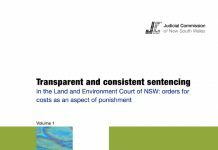 This paper describes sentencing patterns for the twenty most common offences dealt with in the Children‘s Court, covering 88% of the cases finalised over the period from September 1989 to December 1994 (ie. from the introduction of the Sentencing Act 1989). 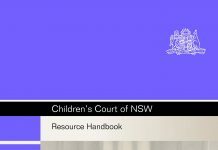 The Children’s Court of New South Wales was established by the Children‘s Court Act 1987 and has jurisdiction throughout the State in matters involving children, other than completion of proceedings for serious indictable crimes. 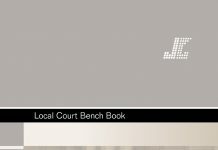 The Court is composed of the Senior Children‘s Magistrate and currently seven other Children‘s Magistrates (s.6); all Local Court magistrates are authorised (s.10) to exercise jurisdiction. The main locations of the Children‘s Court in the period covered by this paper were Bidura, Cobham, Minda, Worimi, and Royleston. Minda and Royleston courts combined operations in the Burwood courts complex from April 1992 until a further relocation of criminal cases to premises at Lidcombe in September 1992. 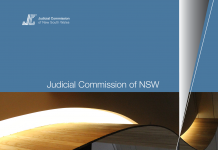 Children‘s Magistrates also sat at nine other locations in the Sydney, Central Coast, Southwest Metropolitan and Illawarra areas; Local Court Magistrates exercised jurisdiction elsewhere throughout the State. “under the age of 21 years when charged before the Children‘s Court with the offence” (s.28(1)). The “serious indictable offences” excluded from the jurisdiction of the Children‘s Court are defined in s.3 of the Act. They cover, for example, homicides, aggravated sexual assaults, and any offence with a maximum penalty of penal servitude for 25 years or for life. In addition, the Act excludes traffic offences from the Court‘s jurisdiction except in certain circumstances (see s.28(2)). The Children‘s Court, therefore, has jurisdiction in a broadly similar range of offences to the Local Courts, except that: (a) the Children‘s Court can deal with a wider range of indictable offences; and (b) it does not usually deal with traffic offences. It should be noted that traffic offences form a significant proportion of the “top twenty” offences in the Local Courts. 1989 up to the end of 1994. 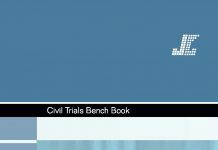 The data has not been corrected to take account of variations made on appeal to the District Court or the Court of Criminal Appeal, as it would not result in significant changes to the sentencing patterns reported in this paper. The term “offence” in this paper refers to the principal offence in each case. The principal offence is the offence that received the most severe penalty. Other offences dealt with at the same time have been omitted. Unlike the data collected from the Local and Higher Courts, the data used for this paper does not distinguish the precise offence type in terms of the Act, section and part of section which creates the offence. Instead, all matters have been classified into about 110 categories based on the Draft Australian National Classification of Offences (DANCO). Consequently, the data is not directly comparable to the statistics presented in the earlier papers on Common Offences, and the extent to which juvenile cases are concentrated in just a few specific offence types cannot be reliably measured. Finally, it should be noted that the Children‘s Court must, to a greater extent than other jurisdictions, take into account the special needs arising from the age, immaturity and inexperience of its offenders. Offender characteristics, such as prior record and the likelihood of re-offending, play a particularly large role in sentencing juveniles. 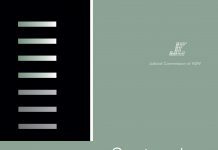 Differences in sentencing patterns for common offences will therefore not only reflect the relative degree of seriousness of the offences, but also differences in the profile of the typical offender being sentenced for that type of offence. In particular, the more serious types of offences tend to have a higher proportion of juveniles with a prior record, and hence the penalties will be more severe on average, quite apart from the seriousness of the offence. Furthermore, unlike offenders appearing before the Local and Higher Courts, many juvenile offenders have appeared before a Community Aid Panel prior to sentencing, and may have performed community service or participated in rehabilitative programs as a result. Following the successful completion of such activities, the Court may impose a nominal penalty, such as a dismissal with a caution. Therefore, unlike other jurisdictions, the incidence of nominal penalties imposed by the Children‘s Court cannot be interpreted as leniency. According to the Children (Criminal Proceedings) Act, no child under the age of 10 years can be guilty of an offence (s.5), hence all offenders dealt with in the Children‘s Court range from 10 to 17 years in age at the date of the offence. The following graph provides a breakdown of this age range. The vast majority of offenders (79%) were aged 15 years or more and the median age was 16 years (ie the mid-point of the range when all offenders are ranked by age). Although 17 year olds made up 33% of offenders overall, they constituted about 50% of the offenders convicted of resisting arrest and of the two most common drug offences (“possessing/using cannabis” and “cultivate drug”). On the other hand, 17 year olds constituted only about 23% of offenders sentenced for shop-lifting. As for penalties, 54% of all fines were imposed on offenders aged 17. Offenders aged less than 15 years made up about 21% of offenders overall, but constituted about 30% of offenders convicted of breaking and entering, and of shop-lifting. They also received over 30% of recognizances with supervision, but less than 5% of all fines. As is the case in other jurisdictions, offenders sentenced in the Children‘s Court are predominantly males (85%). Only prostitution offences (which were not among the “top twenty”) had a majority of females (88%  ie 127 females out of 145 offenders). Of the “top twenty” offence types, shop-lifting and fraud/forgery had above-average proportions of females (34% and 31% respectively). Some less common offences also had high proportions of females  especially misappropriation, which includes larceny as a servant or clerk (42% females out of a total of 283 offenders). On the other hand, females had a particularly low representation among offenders convicted of possessing or using a weapon (2%), and also had below-average proportions in breaking and entering (6-7%), and in stealing motor vehicles or taking and using a motor vehicle without consent (8-9%). Of the offences outside the “top twenty”, females were seldom convicted of dangerous driving (2%) or indecent assault (1%). a control order for up to 2 years (ie a custodial order to be served in a detention centre) – 7.8% of cases. In a further 0.4% of cases, the offender was sentenced to detention “until the rising of the court” (abbreviated as “RoC” in the chart above). As noted earlier, many juvenile offenders – particularly those who were dismissed with or without a caution – had previously undertaken community service or other significant rehabilitative activities following an appearance before a Community Aid Panel. Assault occasioning actual bodily harm (AOABH), and “Other Assaults” (eg common assault) accounted for 5.0% and 7.1% of cases respectively. They are the most common types of offences against the person – and indeed were the only types of offence against the person to fall within the “top twenty”. The sentencing patterns for these two offences indicate that they were regarded as being among the more serious offences dealt with by the Court. About 11-16% of juveniles convicted of these assaults received nominal penalties of some kind (dismissal with or without caution, and “rise of court”); about 69-71% received fines, a recognizance or probation; and 15-18% served a CSO or control order. Juveniles convicted of “Other assault” were slightly more likely to receive a nominal penalty, and were somewhat more likely to be fined; while those convicted of AOABH were more likely to receive a control order or a recognizance. Overall, the penalties for AOABH were only marginally more severe than those for “other assaults”. This may reflect, among other factors, the grouping of a number of different statutory offences under the category of “other assault”. The two categories of breaking and entering offences dealt with in the Children‘s Court were: “break & enter – dwelling” and “break & enter  other”. Both fall within the “top twenty” offence categories, and together accounted for 16.7% of cases. Overall, about 13-15% of juveniles convicted of these offences received nominal penalties; 61-63% received fines, recognizances or probation; and about 23-25% served CSOs or control orders – which is slightly higher than the average proportion of offenders serving CSOs or control orders (about 21%). There was very little difference between the sentences imposed on offenders breaking into dwellings and sentences imposed on offenders breaking into other buildings. While traffic offences do not generally fall within the jurisdiction of the Children‘s Court, property offences involving motor vehicles do. The three categories used to report property offences involving motor vehicles all fall within the “top twenty”: stealing a motor vehicle or cycle (eg s.154AA of the Crimes Act 1900); taking and using a motor vehicle (eg s.154A(1)(a)); and allowing oneself to be carried in a conveyance that was taken unlawfully (s.154A(1)(b)). These three offence types accounted for 11.2% of the cases dealt with in the Children‘s Court. The sentencing patterns for these three offence types clearly reflect their relative degrees of seriousness. Stealing motor vehicles is the most serious of these offences, and is the offence most likely to result in a control order, CSO or probation. “Being carried in a conveyance” is the least serious of these offences, and the one most likely to result in a nominal penalty, a recognizance or a fine. Stealing a motor vehicle had the highest rate of control orders and CSOs among the “top twenty” common offences (27%), and the lowest rate of nominal penalties (11%). Fines were not common for any of these offences (less than 10%, compared to 18% for the Children‘s Court overall). The larceny and dishonesty offences covered in this section include: shop-lifting; “fraud/ forgery”; and “other stealing” (ie simple larceny other than shop-lifting). The category called “fraud/forgery” covers a wide range of dishonesty offences, such as obtaining benefit by deception, failing to pay for a meal or accommodation, making or uttering false instruments, forgery and uttering. These offences have a broadly similar sentencing pattern, with shop-lifting having the highest proportion of nominal penalties, recognizances and fines, and the lowest proportion of probation, CSOs and control orders. Of these three offences, “other stealing” resulted in the highest proportion of CSOs and control orders, but was also more likely than “fraud/ forgery” to result in a dismissal. Goods in custody and receiving accounted for 5.0% of cases in the Children‘s Court. Broadly speaking, the sentence patterns for these two offences are similar, with goods in custody having a slightly lower proportion of nominal penalties. Juveniles convicted of goods in custody were also more likely to receive a fine or a control order; while receiving was more likely to result in a recognizance or probation. In general, the sentencing patterns for these two offences are very similar to the overall sentencing pattern of the Children‘s Court. The category of “Trespass/Vagrancy” includes crossing, entering or running on enclosed lands, while “malicious injury – other” includes maliciously destroying or damaging property (s.195(a) of the Crimes Act) – especially graffiti and vandalism. Together these accounted for 8.3% of Children‘s Court cases. Malicious injury was much more likely to result in a CSO or control order (11% of cases) than trespass/vagrancy (1%); and rather less likely to result in a dismissal of some kind (22% compared to 38% for trespass/vagrancy). “Resisting arrest” includes hindering police; “possession/use of weapon” also includes the unlawful possession or use of other implements or objects. Resisting arrest had a particularly high proportion of cases where a fine was imposed (49% of cases). It should be noted that a high proportion of offenders were aged 15 or more (93%, compared to 79% for all offenders sentenced in the Children‘s Court). Those convicted of possessing/using a weapon were more likely to receive dismissals (31%, compared with only 15% for resisting arrest). The category “cultivate drug” includes “administer drug” and “possess utensils – drug”. The sentencing patterns for “cultivate drug” and “possess/use cannabis” are very similar, with “cultivate drug” having slightly smaller proportions resulting in dismissals (26% compared to 32% for possess/use cannabis), and slightly larger proportions for each of the more severe penalties. Both offence types had a high proportion of cases with fines (41% – compared to an average proportion of 18% for all offences in the Children‘s Court). It should be noted that the most serious drug offences are dealt with in the higher courts. The category “offensive behaviour” also includes obscene exposure and offensive language. Liquor/ license offences and offensive behaviour are notable for their low proportions of offenders with CSOs or control orders – in the case of liquor/ license offences such penalties are virtually non-existent (it is likely that few of the statutory offences covered by this category allow the use of custodial penalties or CSOs). In the case of liquor/license offences, 58% of offenders received dismissals – otherwise they usually received a fine (36%). These offences had the least severe sentencing pattern of any of the “top twenty”. Offensive behaviour had the highest proportion of fines for any of the “top twenty” offences (57%, compared to a proportion of 18% of offenders in the Children‘s Court overall); otherwise, offenders usually received a dismissal (28%). The following table lists the “top twenty” most common offences – this time in the order of the severity of the penalties imposed during the period September 1989 to December 1994. The table indicates the manner in which those who commit the most common offences are dealt with by the Children’s Court. The term “Nominal Penalty” includes dismissals with or without a caution and detention until the “rising of the court”. These are ranked in the table as the least severe class of penalties. “Fine/ Recog/ Probation” includes all probation orders or recognizances, with or without supervision, and all fines and combinations of a fine and a recognizance. In all but one of the common offences this class of penalties included the majority of cases. “Control Order /CSO” covers all custodial orders and CSOs of any duration – the latter being an alternative to custody (s.5(1) of the Children (Community Service Orders) Act 1987). This is the most severe class of penalty. The figures in each column are the percentage of cases in which such a penalty was imposed. As was found with the Local Courts, but not the District Court, the most common offences tend to be the less serious ones: ie 17 of the 20 offence types in the table above fall below the row labelled “Average for all offences”. The offenders who received the most severe penalties tended to be those convicted of stealing or taking motor vehicles, breaking and entering, or assaults of some kind. These offenders often have a prior criminal record. The middle of the ranking tended to be occupied by a variety of property offences. The offenders receiving the least severe penalties tended to be those convicted of certain offences against good order: liquor offences and offensive behaviour. Drug offences were also near the less severe end of the spectrum. Despite the aggregation of juvenile offences into 84 broad categories, which obscures some differences in sentencing patterns for related offences of different degrees of seriousness, the Children‘s Court data indicates a significant variation in sentencing patterns according to the type of offence. In part this reflects differences in the type of offender  particularly in terms of prior record and age. As is true of the Local Courts, the most common offences dealt with in the Children‘s Court are not, by and large, the most serious types of offences. In fact, the most frequent offence was “stealing  other” (eg simple larceny), which ranked eleventh in the Table on page 6. Among the “top twenty”, the offence types with the most severe penalties were stealing motor vehicles, breaking and entering, assault OABH, and taking or using motor vehicles without consent, where offenders often have a history of criminal activity. Assaults  without serious injury  were the only common offences against the person. For all but one of the common offences the typical penalty was either a fine, a recognizance or probation. However, as young offenders, especially those under the age of 15 years, often lack the capacity to pay fines, the Children‘s Court does not use fines as frequently as Local Courts do. Recognizances were the single most common penalty imposed by the Children‘s Court, whereas Local Courts impose fines on the vast majority of adult offenders. Control orders (custody in a detention centre) were used in less than 8% of cases, although a further 7% of offenders were ordered to perform community service work instead of being placed in custody. The use of control orders by the Children‘s Court is slightly greater than the use of full-time custodial sentences by the Local Courts, although that may well reflect differences between the two jurisdictions in their power to deal with indictable offences. Nominal penalties overall accounted for about 21% of cases, although for liquor or licensing offences they were used in about 58% of cases. As noted above, many of these offenders have successfully completed community service or rehabilitative activities as a result of appearing before a Community Aid Panel. The nominal penalty, therefore, is typically a formal recognition of this participation rather than a lenient sentence. The sentencing patterns of the Children‘s Court vary significantly according to the degree of seriousness of the offence type. For example, motor vehicle theft, breaking and entering, and assaults are treated rather more severely than liquor offences, offensive behaviour or trespass. The more serious offences mentioned are also more likely to be committed by offenders with a prior record, and the severity of the penalties imposed reflects this factor. While examining the sentences imposed by the Children‘s Court it is worth noting, as a recent study found, that “the vast majority of young offenders brought to court have only one ‘brush‘ with the law before apparently desisting from further offending” (D Weatherburn, in Coumarelos, 1994, p iii). The Children‘s Court has a number of distinctive characteristics: its own sentencing principles, penalty options, and procedures. It deals with a wide range of offences, including many indictable offences that would, if committed by adults, fall outside the jurisdiction of the Local Courts. For example, during the period from September 1989 to December 1994, the Children‘s Court sentenced 1,100 offenders for various types of robbery, including armed robbery and robbery with striking. Unlike offenders dealt with in the other criminal jurisdictions, many young offenders appear before community-based panels and engage in restitutive or rehabilitative activities (such as community service or counselling programs) before appearing before the Children‘s Court for sentencing. The sentencing practices of the Court, therefore, must deal with a wide range of practical circumstances – from minor first offences through to all, but the most serious, indictable offences. The distinctive features of the Children‘s Court have developed in response to the unique needs of young offenders, and especially in response to the need to prevent such young offenders from being further caught up in the criminal justice system and developing into “career criminals”. As the Children (Criminal Proceedings) Act states (s.6): “children who commit offences bear responsibility for their actions but, because of their state of dependency and immaturity, require guidance and assistance”. Special thanks must be made to Mr R Blackmore, Senior Children‘s Magistrate, and to Michael Cain, of the Department of Juvenile Justice, who commented upon preliminary drafts of this paper.
. New South Wales Bureau of Crime Statistics and Research, 1994.